Shana's Art Room : "I'm Finished!" Inspiring these students to really try their best takes some practice. Now that I'm going on my 12th year of teaching, I realize that it's a continuous renewal on your methods and practices to truly get these children engaged. I don't want to "manage" these people like they are rats in a cage. I truly want them to be engaged, to want to try, to want to do better, and to want to explore and to create. With some of my class sizes now reaching the 40 mark, I am really having to stay on top of things. When the students say that they are finished (or "I'm done!" is more like it), then I keep having them work things, such as darkening the colored pencil, sharpening up the edges, adding their name, erasing smudge marks that don't enhance the picture, etc. I also have a list of things that they can do. I do not want them hurrying through their artwork. Even when they don't hurry, there are going to be students finishing at different rates. I try to move along to the next project when about 80-85% of the students are finished. 1) You may NOT play on your device. I know that there are wonderful art games out there, but for the most part, they just want to text and play games when they are finished. There are a few students who have shown me some graphic design apps that they are using and I do not mind if that is the case. For the majority of the population, though, there will be no hurrying through art to play on the device. 2) You may recheck your work. Look back over your artwork. Pretend like you're the teacher. What would you have me improve upon? Shading, darkening, erasing, adding something else? 3) You may make a second one. If we are working on a collage project and you finish early, after rechecking and checking it again, you can make another one of the lesson that you just completed. 4) You may read a book. I have to be careful not to give this one out too often. 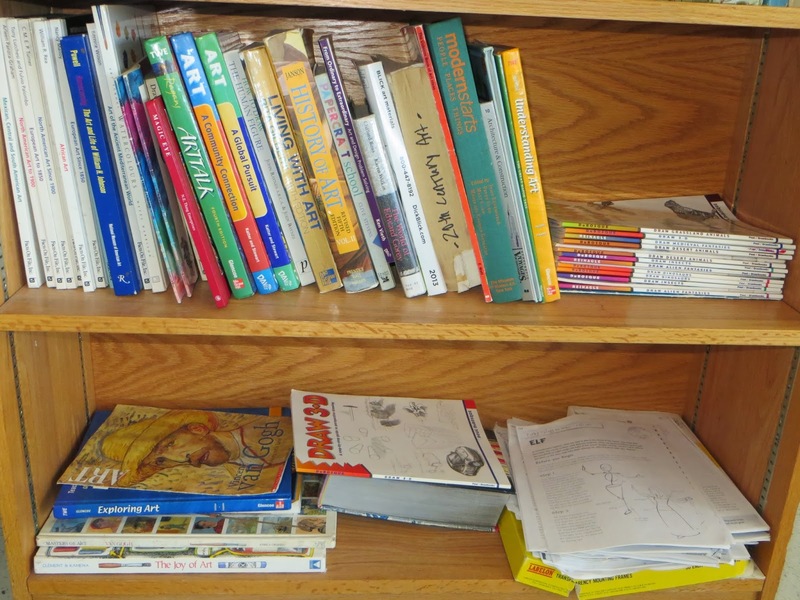 For those who are great readers, they want to finish their art early so that they may read. This also mixes in with the device issue, so I'm trying to keep this art related! 5) You may free draw using an image from your device (can you see that this BYOT is a confusing situation!? 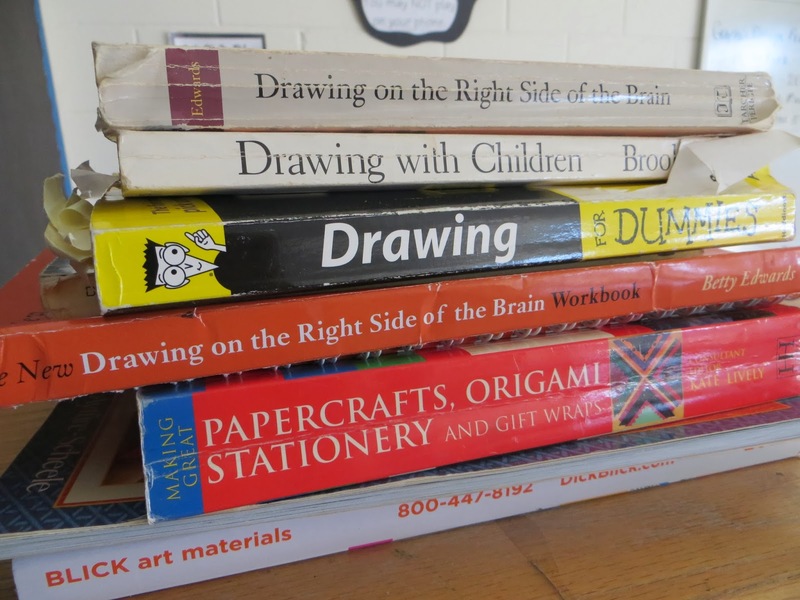 ), from my drawing books, or from a media center drawing book (or your mind is also a great place to get ideas). 6) Enter Coke rewards. I know that this isn't directly art related, but we have bags and bags of them that need to be entered (any parent volunteers?). Using the Coke rewards, we have literally received hundreds and hundreds of pencils, erasers, glue sticks, and the like. Sadly, it takes a while to enter each one. 7) You may work on the Vincent van Gogh flower project. I found this on another website, and I will give full credit if I ever remember who it came from. The students can make giant oil pastel flowers that will fill up a huge paper vase out in the hallway. Last semester, I created a brown vase out of butcher paper (with some oil pastel highlights and shadows) and glued the flowers in the top (on the wall). 8) Art Cards. The wonderful media specialist has created an artist trading card station in the media center for students (in art or not) throughout the day to work on. I am allowed to send five at a time. 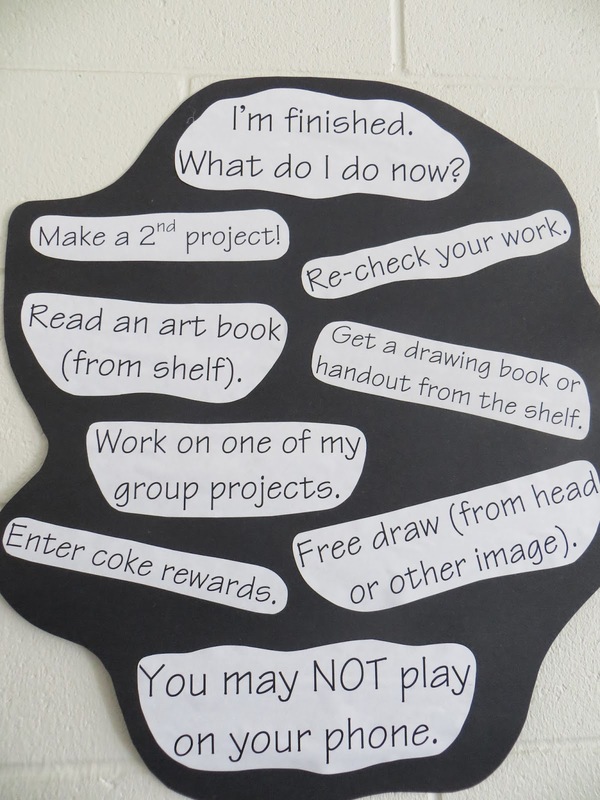 I usually try to keep them in the art room so that I can monitor and/or help them, but this is a great idea. In my classroom, I have three ring binder with art vocabulary cards. They can write the word and definition on an index card and then create an image (collage or other media) on the back. Of course, my main objective is that they accomplish the goals and standards that I have set out for them to accomplish. If they are creating, using their minds, and truly trying, then I am a happy art teacher.